A couple of week’s ago, we shared a behind the scenes look at one of our owners, Mark’s, homes and how he uses our favourite products in his space. 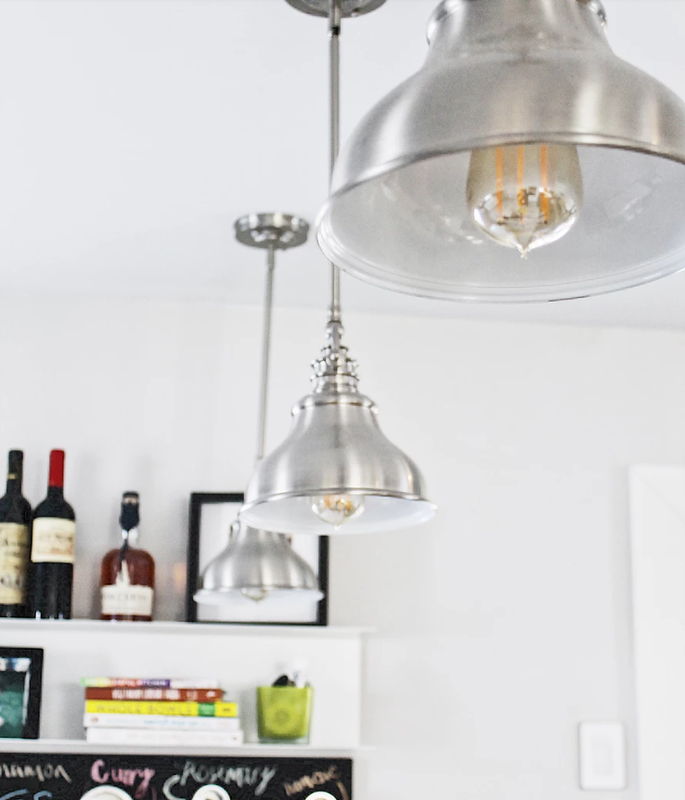 This week, we’re back with Part II, and we’re sharing the details on everything from his stylish light fixtures to complete home automation system! Mark installed Legrand’s Intuity Home Automation system into his home for seamless home automation, and let me tell you, this thing does everything! 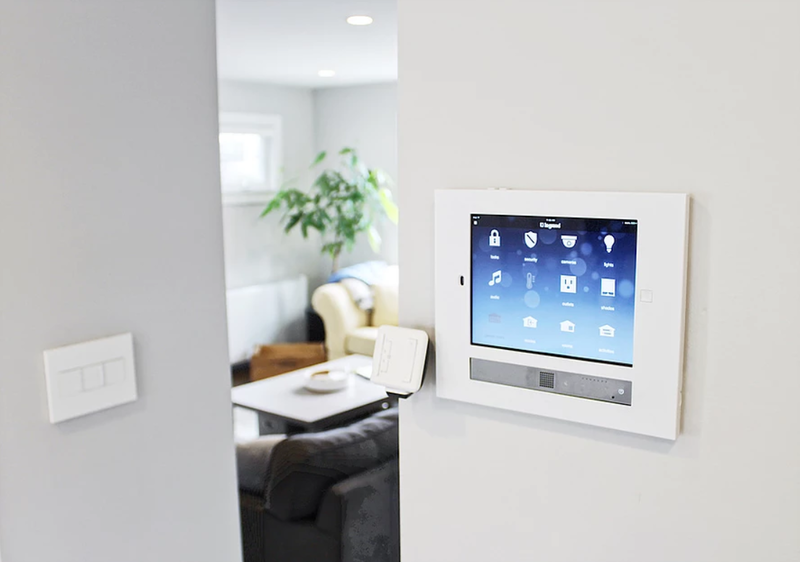 It allows you to control your heating, lighting, audio, shading, home security, video doorbell, locks, and so much more with the touch of a finger. I’m personally not the most tech savvy person, so I was a little wary of it at first, but it seriously couldn’t be easier to use. The system not only controls Legrand’s own products but is compatible with third party products from other industry leaders. 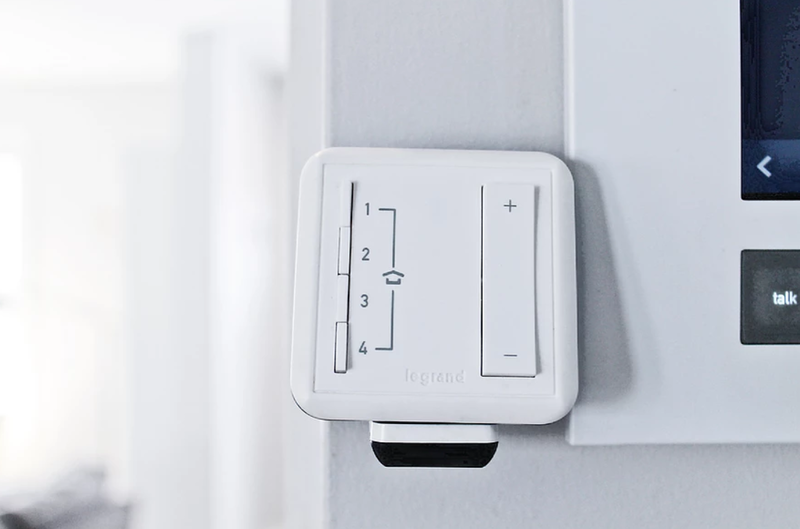 It’s also compatible with Google Assistant and Amazon Alexa- we covered the compatibility with Legrand’s Wi-Fi lighting system here, but it’s compatible with their motorized shading as well. The Wi-Fi Lighting Remote Control is the perfect compliment to the Intuity System. Mark stationed his right next to the Intuity interface, allowing for even easier control of his lighting. The remote allows you to control up to four lighting scenes. Scenes can vary from a morning setting, which raised your blinds and sets the perfect light levels, to an entertainment scene, which closes all the blinds, turns on your favourite music, and dims the lights. 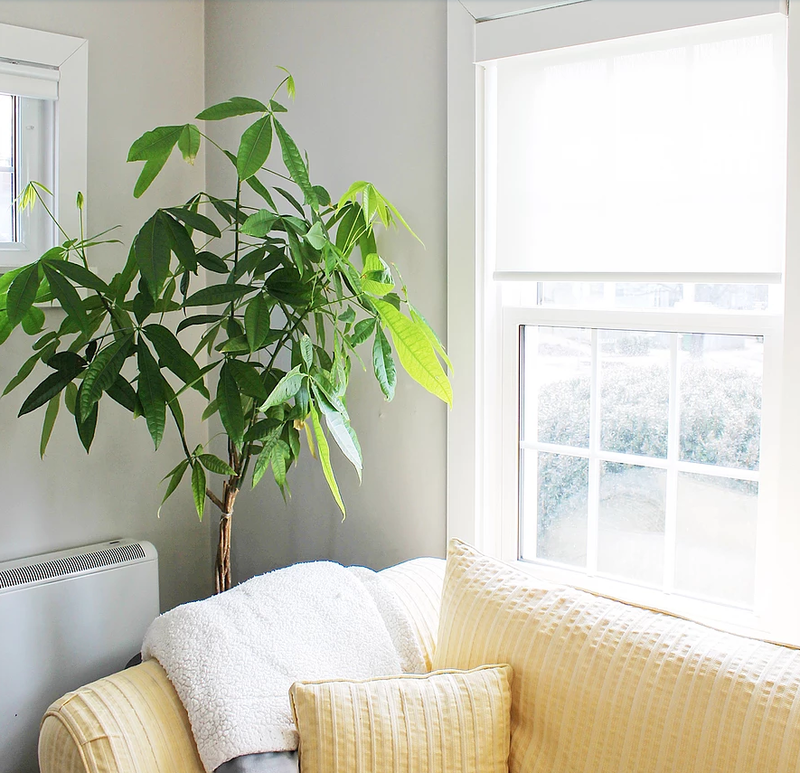 Mark uses QMotion’s Advanced Shading System throughout his home for the convenience, style, and energy savings that they provide. 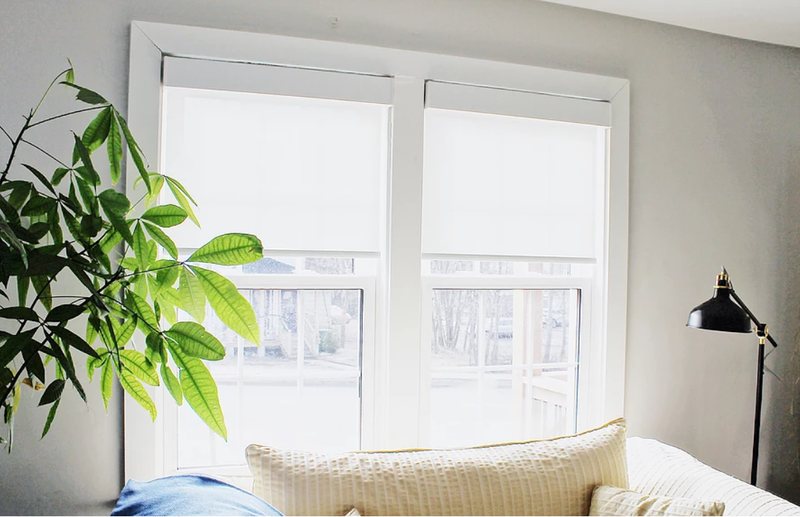 The motorized shading is connected to his Intuity system and Amazon Alexa, so he can control his shades from anywhere in the home or away! They can also be pre-programmed and operate on a timer. The programming functionality is where these blinds really shine (pun intended). Mark no longer uses an alarm clock thanks to a slow raising of his bedroom blinds in the morning, letting the natural circadian light cycle wake him. At night, similar programming tracks the sun and automatically lowers the blinds at dusk. We talked a bit about the energy saving benefit’s of QMotion’s mortised shading here. These award winning window fashions are the perfect compliment to any smart home, and they’re also great for offices and commercial spaces. 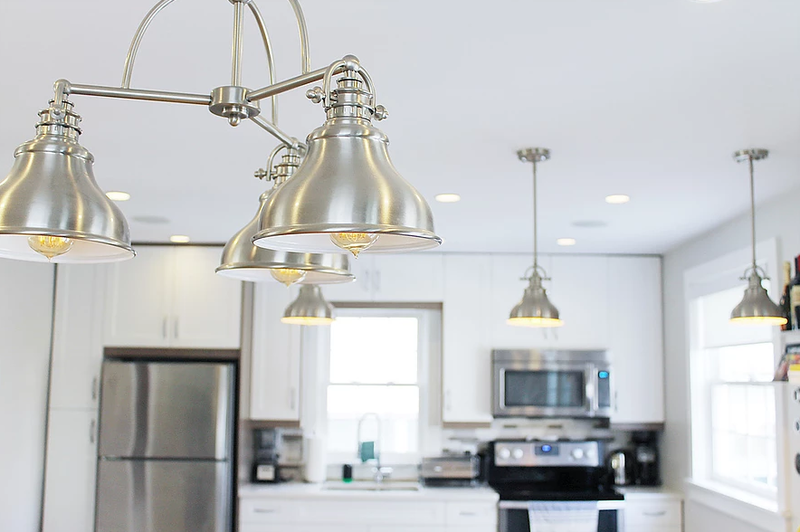 To choose the finishings for his space, Mark worked with local interior decorator Charlotte Skiba, of Charlotte Interiors, to select from our residential lighting lines. 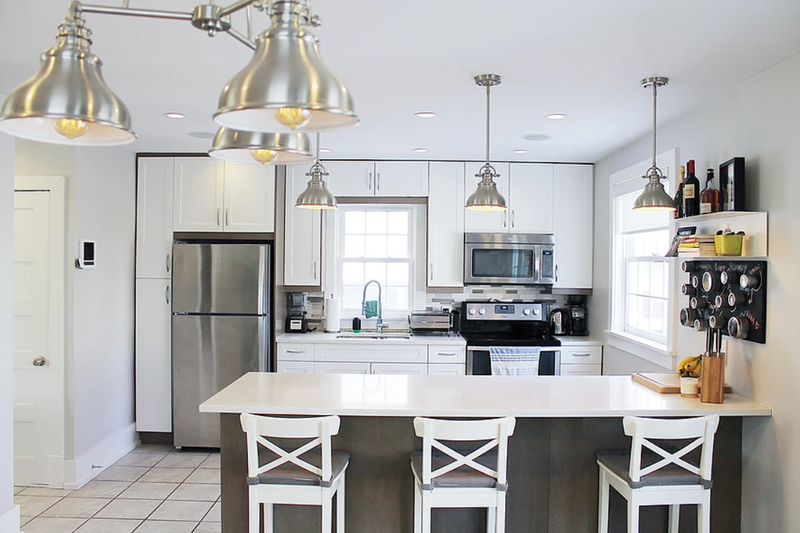 They decided to go with Quoizel’s Emery Dinette Chandelier over the dining room table, and the Emery Dinette Pendants over the island. They are they perfect choice to compliment the open and bright look of his space. We had so much fun putting together this Home Tour, and we hope it helped give you some ideas on how our products can be used in and improve your space. In case you missed it, check out Part I here, and stay tuned for Part III coming soon!